SWAMP's June EOFY Newsletter - 15% coupon! SWAMP mailing list's get a revamp! 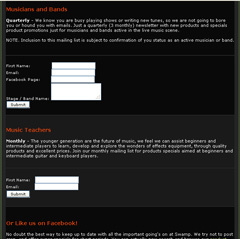 Specialised newsletter's for New Products, Specials, Schools/Uni's/Churches, Musicians and Teachers. UPM-1 and SPM002 are our newest range of Phantom Power supplies from iSK, to power any condenser microphone. The UPM-1 features a USB output enabling direct connection to a PC or MAC for recording. SWAMP ABS Rack Cases Back In Stock! 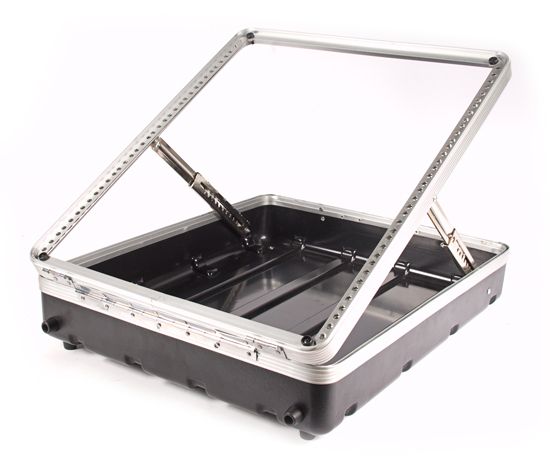 We now have our range of 19"rack cases back in stock ranging from 2U to 12U sizes. Now in stock are 6U, 8U and 10U cases with inbuilt wheels and handles. As well a 12U mixer rack case designed to fit any 19 inch rack mountable mixer. New Range Of Microphone Stands. We have our brand new range of microphone stands both small and vocal height stands. Featuring an easy to use one hand height adjustment button and a solid metal round base to take up less room when on a crowded stage these mics are great for the everyday musician. Multiply your savings on the SPECIALS PAGE! - Visit Our Specials Page! 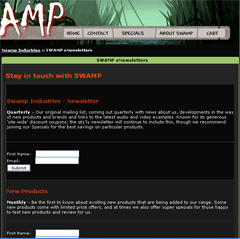 - This page features genuine % discounts off the normal Swamp Prices. And for this month, you can also use the "EOYS-12" coupon code to apply an EXTRA 10% off the already discounted prices! We are more than happy to answer any products questions and offer buying assistance where possible. Please reply to this email or call us on 02 62232025.